**ON SALE FOR A LIMITED TIME. 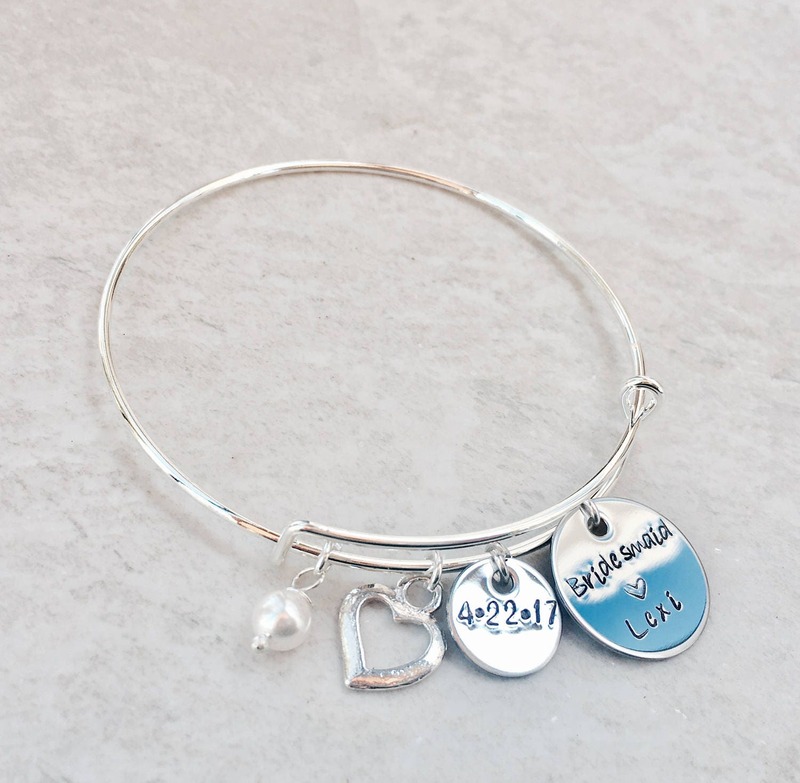 This pretty bracelet makes a great gift for a bridal party! 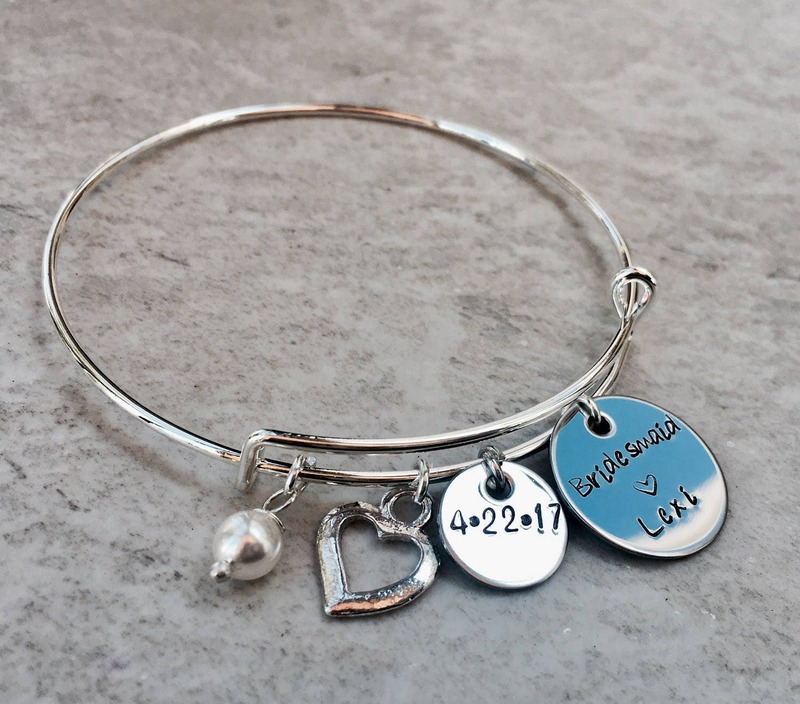 5/8" Circle charm, personalized with name and "title"
*****TO PERSONALIZE: Please leave me the details to include in your bracelet in the notes section of the check out page. This includes names, "titles"(Bridesmaid, Maid of honor, etc), and wedding date. If you'd like to make any changes at all, please do not hesitate to contact me at any time. If you purchase multiple bracelets, Etsy will combine the shipping rate according to your location (to save you a little money on shipping!) 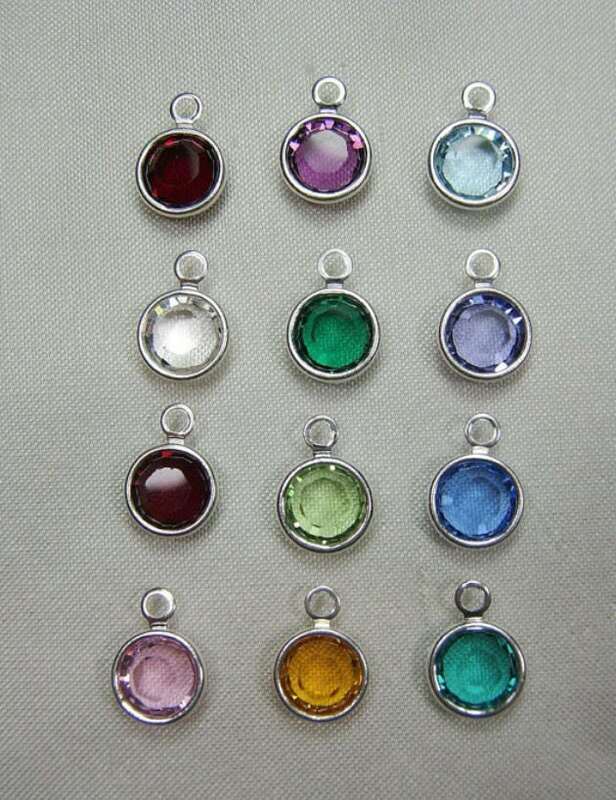 This will be reflected in your shopping cart on the check out page, once all items are added. This bracelet is "one size fits most". It can be stretched or tightened to fit almost any wrist. I encourage you to read my shop policies so there not any surprises later.